Physician technologist working in Biotechnology and Digital Health. Seasoned tech/infrastructure exec, currently consulting in the bitcoin space, launching SF Bitcoins and advising to Armory Technologies, Inc. Looking for addtional bitcoin ventures. Software engineer @Askdotcom. Global Mentor @spaceapps, Alumni, Judge, Conductor @TheStartupBus. Currently the principal of Ayers-Johnson and Associates, a consulting firm specializing in public relations for both community and governmental organizations. Lead Engineer at @nodeprime. Previously Founding Engineer at Aspera (acq. by @ibm). Ongoing open source developer. Executive Director at Oakland Digital (ODALC.org). M.A, B.S, B.A | eMarketeer, creative strategist, and tech philanthropist. More shauntai.com and @shaun-tai. Ambitious, innovative, and dedicated electrical engineer. Product Development Engineer and RF Design Engineer at AT&T. @appstores.com (acquired by InMobi), Ping.fm (acquired by @seesmic),Partner Engineer at @facebook, Product guy with UI/UX and coding chops. CEO of Threadbare Games. 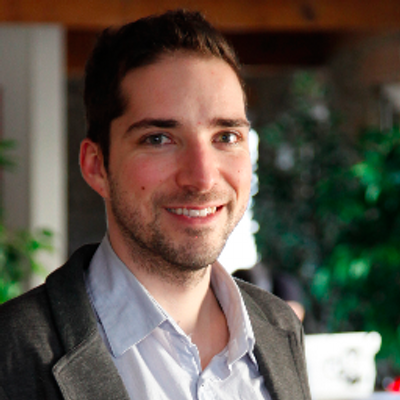 Previously co-founder and CPO of @sidereel, acquired by Rovi. Product, Technology, Teams. Lean and LeanUX advocate. Giant nerd.